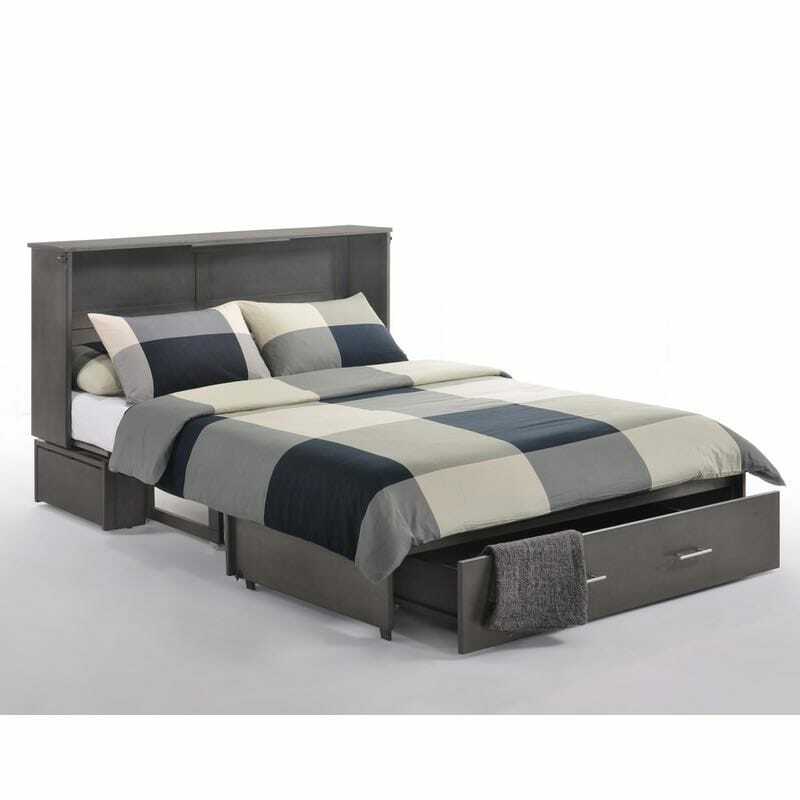 The Sagebrush Murphy Cabinet Bed has a contemporary style comfortable mattress that folds into a Queen size sleeper with a storage drawer. Categories: Beds, Cabinet Beds Tags: cabinetbed inc, sagebrush Brand: CabinetBed Inc.
Complimentary free curbside delivery is included. 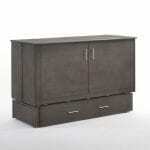 The Sagebrush Murphy Cabinet Bed includes a standard queen size premium memory foam mattress with cool gel. This fold-out bed is a remarkable sleep solution. It combines comfort, contemporary design, and affordability all in one. Whether you live in a studio apartment or just need an extra bed for overnight guests, the Sagebrush Murphy Cabinet Bed is a perfect choice. 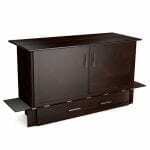 When not in use, the cabinet is a great HD TV stand and can support flat screen TV’s up t0 80 inches. The TV will not need to be moved even when the bed is set up. 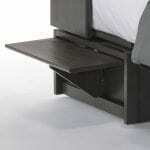 The bed can sit under a window and can be moved around the room. The Sagebrush bed comes with the gel top memory foam mattress with cool gel designed specially for this beds. They have a special gel top layer that keeps you cool and comfy all night long. 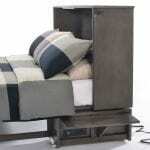 The handy flip up nightstands on both sides provide a convenient place for your phone and a few other items. The mattress cover is both removable and washable. This standard queen size bed uses regular sheets. There is no need to buy any special linens. 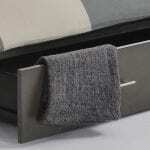 The storage drawer easily stores your linens when your bed is not in use.